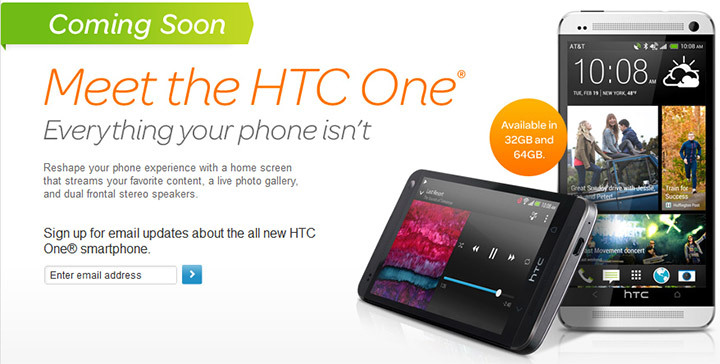 I assume you`re very happy knowing that in few moments you will find the official date of availability of HTC One in US via Sprint and AT&T carriers. The official release date is April 19, according to AT&T and Sprint, and if you can`t wait to appear in stores, you can make a pre-order starting Friday (April 5) from both carriers. On AT&T HTC One will be available with 2-year contract and can chose two models, with 32GB internal storage for $199 and if you want the 64GB version of the HTC One you have to pay $100 more, from same contract agreement. As a remember, HTC One does not have possibility to plugin any memory card, because there is not memory card slot, so think carefully what it`s your option before you decide to buy. A plus, for those customers who pre-order the HTC One through AT&T is that they will receive a free HTC Media Link HD wireless HDMI adaptor, around $90 worth of free gift. On Sprint carrier, unfortunately the version with 64GB is not available. The price for 32GB version is same, $199 with contract for 2-year. For both carriers, you can choose from two different colors, HTC One Black or Silver.